Our Executive MBA programme, accredited since 2013 by AMBA, the Association of MBAs, is a part-time programme over 21 months, designed for business leaders and executives with at least 3 years of managerial experience. You are ready to invest substantially in preparing the next individual career step through building the most solid of competence platforms. The programme is delivered entirely in English. 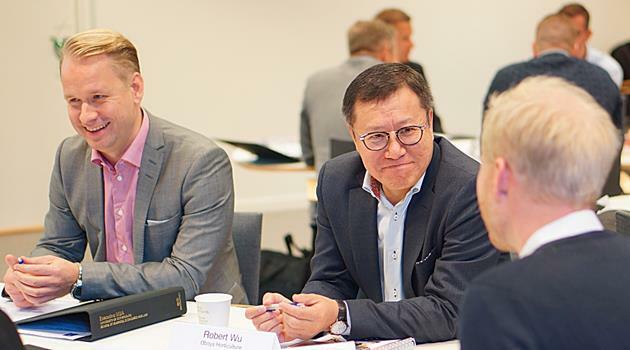 Make an information request to learn more about the Executive MBA Programme 2019-2021. Recent participants have originated from a wide range of educational and professional backgrounds, such as law, engineering, economics, architecture, and social sciences. We know the programme to benefit from having a heterogeneous group composition because by having participants from all walks of life, different perspectives on problems are highlighted in the class room. Since 2013, the School of Business, Economics and Law at the University of Gothenburg is accredited by AMBA, the Association of MBAs. This impartial token of quality is internationally considered to be the most prestigious accreditation an Executive MBA programme can get. AMBA is an international independent organisation which accredits postgraduate business programmes at business schools worldwide. AMBA accreditation defines a global standard for Executive MBA and MBA programmes. Only 257 business schools (Jan 2019) have received AMBA accreditation, which equals approximately two percent of all business schools in the world. 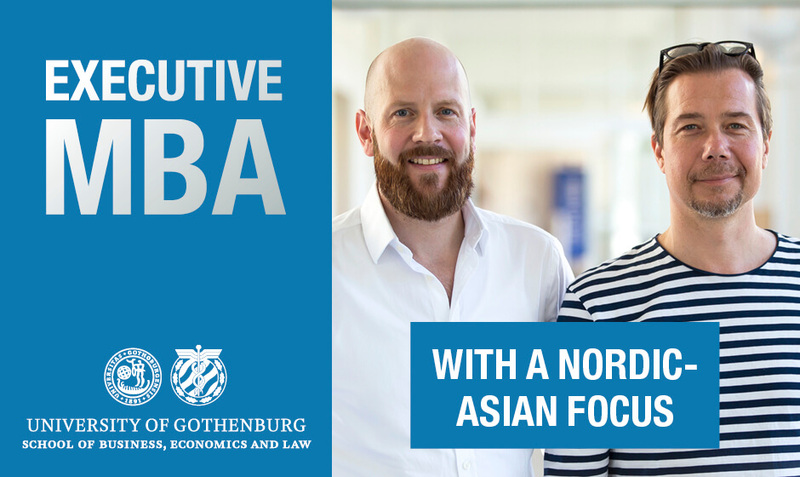 The School of Business, Economics and Law at the University of Gothenburg is the only business school in Sweden holding the three most prestigious international accreditations: AACSB, AMBA and EQUIS. These schools are usually referred to as being “Triple Crown” accredited. Only some 90 business schools in the world are, corresponding to approximately 0.7% of all business schools in the world. At the School of Business, Economics and Law at the University of Gothenburg you find research and education with global perspectives and a focus on sustainable development. In a spirit of openness to a globalising world, our Executive MBA programme includes two separate overseas modules at our partner universities; the Zhejiang University in Hangzhou and Antai College, Shanghai Jiaotong University, China and the Indian Institute of Management Bangalore (IIMB), India. As a participant to our Executive MBA programme you will travel to Asia with intensive fulltime schedules. During a residency, you typically spend mornings on campus with academic workshops lead by the local faculty. Afternoons are devoted to well-prepared field trips to multinational and local companies and organisations. Evenings are used for debriefing and reflection. By combining the learning from the academic workshops with the experiential learning from the field trips, you will acquire a truly global perspective to undertaking business with Asia. Even if your organisation does not actively undertake business with Asia today, the developments in these markets will certainly affect you and your organization indirectly. All applicants are expected to have an undergraduate degree equivalent to 180 ECTS (120 p) or a corresponding foreign degree or extensive work experience and professional achievement equivalent to a Bachelor’s degree. Admission to the programme is based primarily on your professional development after obtaining your undergraduate degree. The more successful that you have been in your career and professional development, the higher priority you will get in the admission process. A minimum of three years of relevant managerial experience is required. In recent years, however, successful applicants have had more than five years of professional experience. Register for an information session or a personal meeting. Information sessions are arranged regularly. You are also welcome to contact us for a personal meeting. We are happy to answer any questions that you might have about our Executive MBA programme and its admissions procedures. The programme fee is 435 000 SEK, excluding VAT. This fee includes lectures, supervision, individual, executive coaching and all mandatory study literature. It also includes all refreshments and lunches. Travel and accommodation costs – where applicable – are not included in the programme fee. This applies to the recurring on campus sessions, the three-day, off-campus leadership workshop and the two separate one-week residencies in China and India. 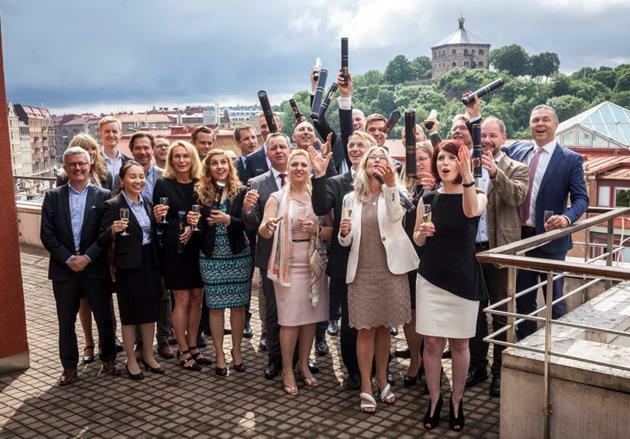 Our Executive MBA participants must be fully sponsored by their employers. 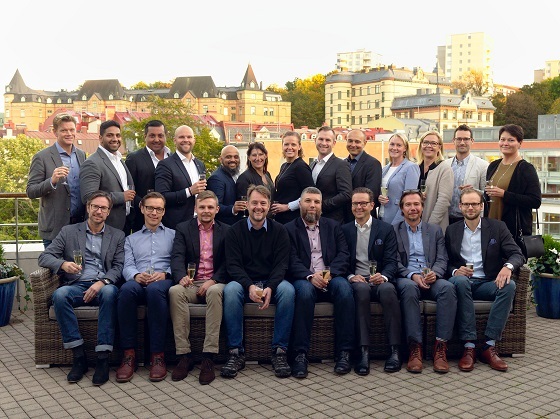 Successful completion of the Executive MBA programme will award you an academic degree: Master (60 Credits) of Business Administration, awarded by the University of Gothenburg. This is celebrated by a graduation ceremony for you, your sponsoring organisation and your closest family members. Upon graduation, you also join our Executive MBA alumni network, which is a professional community for interaction both between members and with the School. Please make an information request here to receive a hard copy of our brochure and a detailed description about the Executive MBA programme. Fyll i formuläret för att få mer information om The Gothenburg Executive MBA, direkt från arrangören. Det är gratis och inte bindande! A program for business leaders! Läs mer om Handelshögskolan vid Göteborgs universitet - School of Executive Education och visa alla utbildningar.